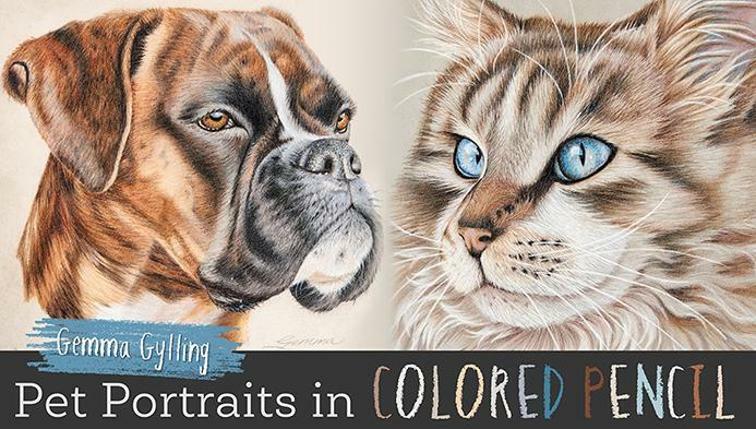 I'm continuing to write the book, "Complete Colored Pencil Guide to Cats, Wild and Domestic". I have finished 3 chapters and I'm almost done with the forth. I have 8 total chapters to do. I'm not necessarily creating the chapters in order. I have the Introduction done, Chapter 1 & 2 and Chapter 5 done as well. I'm now working on Chapter 3 which is, "Features, Eyes, Nose, Ears and Mouths. This is one of the eyes, I just finished. 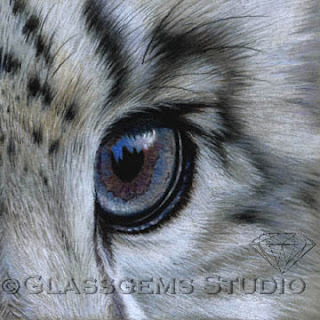 It's the eye of a very young snow leopard. I had so much fun photographing this leopard, he is a real cutie. 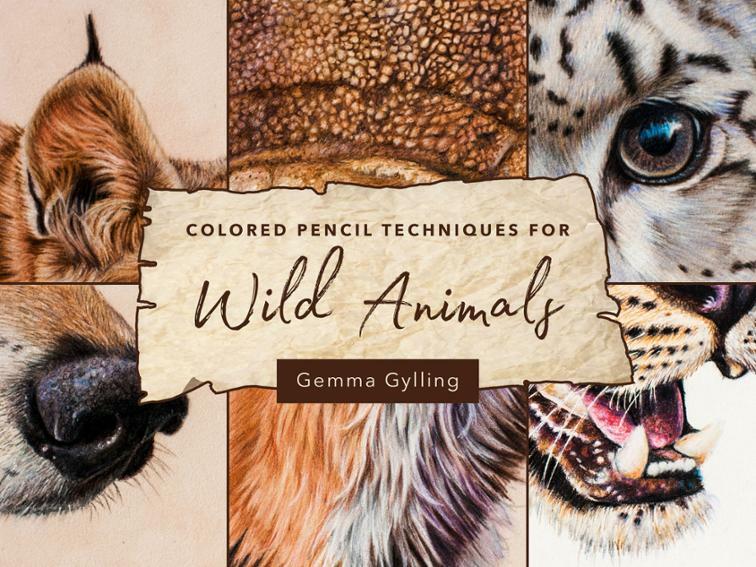 His eyes were a very interesting color so I thought it would be great exercise for the book. If you have any questions please let me know..... Keep Scribbling! 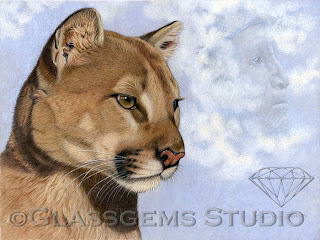 I am very excited to announce that my colored pencil artwork titled, "Animal Totem; Cougar and the Cloud Spirits" has been accepted in the Colored Pencil Society of America's 21st Annual International Exhibition, in Brea, CA. The exhibition will be at the City of Brea Art Gallery, July 31st thru September 13, 2013. I'm looking forward to viewing the show while attending the convention, one of my favorite things to do every year. I entered two pieces, this one and the two bobcat kittens titled, "Double Trouble". Only one piece can be accepted so I will probably enter the bobcats again next year. If you have any questions or comments feel free to ask. Don't forget to "Keep Scribbling"!